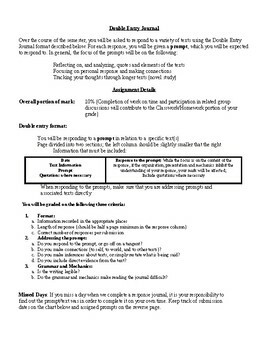 This is the sample Double Entry Journal handout for students and rubric. It builds on the more simple Reader Response Journal template I used with Grade 10 students. I used this with Grade 11 English Language Arts students; however, it could easily be adapted to any level learner. 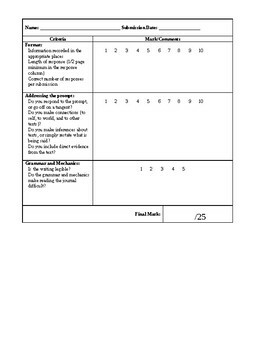 I recommend that the rubric is built with students using the guidelines, rather than simply handing out the rubric. The file is in Word format, so as to encourage teachers to tailor it to their own school, class, or students.